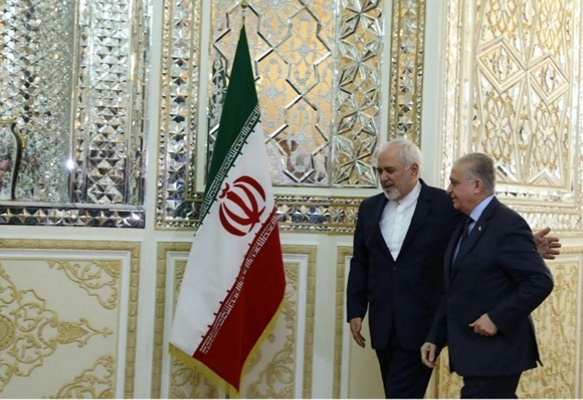 Iranian Foreign Minister Mohammad Javad Zarif and his Iraqi counterpart Mohamed Ali al-Hakim have discussed issues of mutual interest in Tehran. During the Saturday meeting, the two sides expressed satisfaction with the current trend of ties between Iran and Iraq and called for further strengthening of the relations of the two brotherly nations in various political, economic and border areas. The two top diplomats also exchanged views on the most significant regional issues. The Iraqi foreign minister arrived in Tehran on Saturday as part of a high-ranking Iraqi delegation headed by Prime Minister Adel Abdul Mahdi for a two-day stay in Iran. The visit comes a few weeks after the historic visit of Iranian President Hassan Rouhani to Iraq back in March.